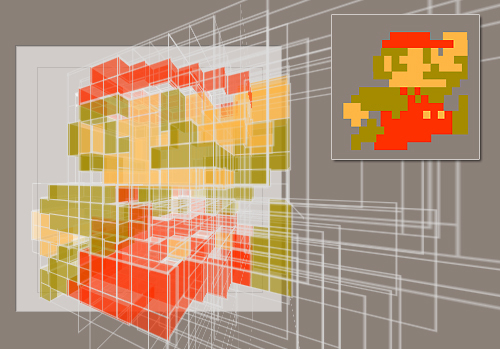 After my latest CSS3 experiment without images (Internet Explorer Pure CSS Logo), a friend suggested to create an animated 3D Super Mario Icon based on the 3D Retro Mario GIF image by Cezkid. Well, this is the result of two weeks of work – an animated 3D Super Mario Icon built completely in CSS3 without images. A still from Safari 5 with perspective and grids. Hover over the live demo to see this. Best viewed with Safari 5 & Chrome 9. Chrome prior Version 9 renders in 2D only due to an older Webkit engine. Opera 10.6, Firefox 3.6 and IE9 are not supported. It’s based on top of my CSS 4D Framework I created therefor and will be released in the next few weeks (when it’s out of alpha).